Now if an earthquake does come, I personally think survival will call on all my wits and knowledge about what has worked in the past and what consistently leads to tragedies. But then I am not a current or former politician or NGO bureaucrat. I am not even a professor. Just a lawyer seriously tracking all the things being pushed now in the name of Common Core in the US and why the required classroom implementation never looks like all the hype used to try to gain popular support for our own political and economic execution. If you are wondering how on earth today’s post veered into discussing religion when we were just overseas visiting with the Swedes from the 1960s, here’s my reply. It’s the same vision and really the same means as well. 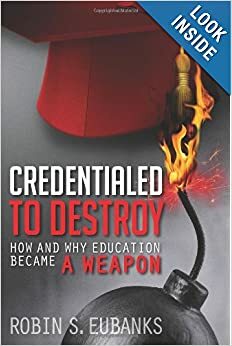 In the kind of collaborative effort now going on between me and blog readers who have also read my book Credentialed to Destroy and thus really mastered the overall framework of the sought transformation, they find troubling documents and ask me to look at them. In this case it was UNESCO’s push of the acronym KSAVE as what the new assessments should be measuring globally as they looked for the students to change to reflect the desired Knowledge, Skills, Attitudes, Values, and Ethics. At the center of what the student was to become via education according to UNESCO were the Core Values. Next was an outer circle of what were called Social and Emotional Competencies that coincide perfectly with what David Conley listed in 2007 in a paper for the Gates Foundation as “College Ready Skills.” Renamed duplicitously in the US to try to hold off a full taxpayer rebellion from the reality of Social and Emotional Competencies and a commitment to Communitarianism as the new goals of K-12 under the Common Core. It was Singapore’s new vision that was featured in the 2011 Keynote Address in China for the vision of Next Generation Schools, which is interesting since I happen to know Singapore is a listed partner in the global Curriculum Redesign Project. http://www.invisibleserfscollar.com/drawing-back-the-standards-curtain-to-discover-the-global-coordination-to-redesign-the-very-nature-of-curriculum/ The key question of course is what values and ethics are to be that guiding core. That’s where both UNESCO’s entire Values Curriculum and Peace Education push and the determination to shift all religions in an Eastern spirituality direction came tumbling out. Quickly. With very little effort. Clearly a core component of the transformation via education vision. So that’s why once again we have to talk about religion. It’s where the values, attitudes, ethics, and vision of the transformations and the future are coming from. In his 1989 book The Inner Limits of Mankind Ervin Laszlo, who we first met acting with the Dalai Llama to urge education to create a Holos Consciousness, described the Baha’i Faith as the emerging global religion. Apparently it is what all the others are supposedly transitioning to. The Encyclopedia of Peace Education from 2008 created by Teachers College at Columbia has an article by Marie Gervais laying out the close working relationship from the beginning between the UN and representatives of the Baha’i Faith. Me? I had never really heard of the “world’s newest major religion” until references to it began pouring out on where the values and transformative vision of education were coming from. Interesting for us in trying to figure out the implications of all this is the acknowledgment quoted by Gervais from the Chancellor of the University of Maryland in 2004 that “What the Baha’i Chair is all about, is the elevation of the common good. It seeks this higher ground by focusing not on what divides people, but rather on what unites them…we must ensure that throughout their higher education journey, our students travel with an open mind while exposed to the widest variety of ethical, spiritual and philosophical thought.” Which of course the students are to view in the desired way much like marionettes on the end of a puppeteer’s strings. i don’t think the Chancellor was just referring to religion majors. In the 2007 Workshop I wrote about above, one of the participants was Arthur Dahl. He is listed as representing the International Economic Forum based in Switzerland. In the 2012 UNESCO and Earth Charter paper called “Exploring Synergies between Faith Values and Education for Sustainable Development” Dahl wrote the Baha’i Faith vision (pages 44-48). He stated that the “transition to a sustainable world is the fundamental aim and purpose of the Baha’i Faith” and that this transformation “will entail no less than an organic change in the structure of society itself.” I know you will be stunned to hear that the vision then goes on to basically replicate what we have taken to calling Uncle Karl’s vision of a small c, Marxist Humanism, human development society (that the Swedes pioneered) that meets everyone’s needs in the world as a matter of right just from being born. Just think of all the administrative jobs trying to fulfill that vision the UN and governments at all levels get to create. And guess what institution is first and foremost the way in? Yes, ten points, but it is not education in the traditional sense anymore. Here’s Dahl again in as concise an explanation of what transformative education is all about as I have ever read. I think this is enough for now though. We really are dealing with an official vision that seeks to regulate through the schools AND religious institutions what MUST be believed and valued and thought. Conspiracy is certainly the wrong term for such a coordinated effort to make each of us servile to the exercise of political and economic power. Now that these goals and the means have been once again pulled out of the shadows into the sunlight, what shall we do? Some things really do need to be repudiated by individuals learning to act collectively against taxpayer funded planned predation. Education is deemed to be the key means of leveraging the transition because it is the “internal models of the world” that will allow the needed changes in behaviors going forward. All the explanations of mandated Constructivism and Curriculum Redesign and Gaming and systems thinking and digital learning all become clear when we read the complaints of how existing political, social, and economic structures are resisting the desired transformational changes. The key the report says is to “go even deeper and explore how real structures are shaped by our thinking. We create internal models of the world–mental models, which we use for making sense of the world and taking action.” The fact that these internal mental representations are the target gets hidden behind euphemisms like deep learning, brain-based learning, teaching students ‘how to think,’ and rigor and higher order thinking skills that will allow Transfer. All of these intentions are laid out, including specifically “simulations and role playing games” that let students explore in cyberspace with visual images the “dynamic consequences of our assumptions” in our existing mental models. No one will be tipping off teachers or students that those consequences are simply what has been programmed into the simulation to guide beliefs and values in desired directions. If you are wondering if I am perhaps too cynical on the intentions here, the CSO report wants a new narrative so badly they italicized it that will “speak to the hearts and minds of a very large number of people and tell a creative and emotional story of who we are and who we need to be and tap into the creative worlds of mythmaking.” The narrative will appeal to people’s intrinsic values, which will of course have been cultivated by ed using contemplative education or positive psychology methods and the Positive School Climate/ Fostering Communities of Learners requirements. Whatever method gets used to embed new communitarian oriented values via school and higher education, CSOs are exhorted to use the laid-out “understanding of values, frames and narratives in their policy and their communication.” Remember the desire of cybernetic theory to create an internal keel that could be used to steer people’s future behavior with? CSOs, the media, governments at all levels with help from companies like erepublic, are all planning to steer as a means of finally achieving this Great Transition. Did you know the report defines narratives as “frameworks for people to understand their lives. They are a way to make sense of life”? Those narratives are being consciously created to get at emotions. They are designed to utilize research from cognitive science obtained from real people via formative assessments, adaptive software, or data from MOOCs (hence all the interest from the Artificial Intelligence community. It is also a research method). That cognitive science research so far says that to change values in people and ultimately institutions, education needs to target the “mental structures that allow human beings to understand reality.” Accessing these “deep frames–the cognitive structures found in long-term memory–are closely linked with cultural values. Deep frames are relatively stable, but are not unchangeable.” Let’s stop again to remember and discuss why these deep mental structures are being deliberately targeted for change. Politicians, public sector bureaucrats, foundation employees, CSOs, and apparently the entire UN apparatus that guarantees lifetime salaries for all vision-compliant former politicians once voters tire of their shenanigans, have all decided to fundamentally redesign all our civic institutions and economic and political structures in ways that benefit them and screw us. Since we would be crazy to go along if we were asked, we are not being asked. Education again is the way in. It is why it has become a Weapon to Destroy the world we currently take for granted. It goes to accessing the deepest structures of our minds and the fundamental drivers within our personalities. To dictate that it is now to be “the will of humanity to invent an economic system that is guided by different parameters and that would work for human wellbeing and the planet.” That’s doubtful, but it’s such a nice slogan for the reality of personal greed coerced via the public sector. Schools and higher ed are now to ensure graduates have a “bigger sense of interconnectedness with nature and with others and an empathy with humanity as a whole (global empathy).” And no matter how much a student knows, without hitting that Universal Love stage of Global Citizenship, there will be no badge or diploma. The student will be regarded as Not Ready to Move On. This is not a minor point. In fact the Ford Foundation funds Global Transformation research around this so-called Line of Plenty. The Thanksgiving 2077 conclusion to that Imagine book talks about how people probably would never have supported the Great Transition if they had realized it would mean meat consumption would be rare and that medical care would cease after a certain age. But those recognized realities are not in the Talking Points for the Great Transition being offered for public consumption. It’s not designed into the scenarios offered by virtual simulation either. We have a great deal of intended aims and consequences laid out in the documents discussed in this IPCC Adaptation Quartet. Fundamental transformations in all areas without any intention of asking for consent from the so-called Governed. Only calling attention to these intentions and the fact that education is the way in can stop it. I can and have tracked all this and more. Can you help me spread the word about these dangerous declared intentions? It is one thing to know that education is now a weapon, and another to discover there has been an expensive, calculated frenzy in the last few years to use social science theory, specifically cited as sociology, anthropology, psych, and even political science, to “drive individual processes of change, as well as changes in social practices.” What? Just because someone is a tenured professor or a one-time politician? That enables them to recommend “transformative actions toward equitable sustainability at the local, community level” so that others can examine “how to speed and scale those up into processes of transformative global thinking?” Whoa!! A mouthful of aims, but we get what is targeted now. The transformational schemers do not necessarily have a T-shirt or banner and include the greedy, ambitious, or naive servants in the school district or principal’s or even the Governor’s office. Anyone who intends to get at people’s mental models and values, attitudes, and beliefs to drive political change–both at the individual and societal levels. When I wrote my book, I spent years researching what happened during the Cold War and immediately afterwards as I kept encountering controversial US practices in education that had ties to Soviet psychology. The book explains the whys and recognizes that individual consciousness is always the ultimate target of anyone with aspirations of nonconsensual political control. After several days of wading through all the social science research surrounding Adaptation and how to use education to drive Global Change I have come to a definitive conclusion. Whew! Now you don’t really think that alarming confessional is all I have do you? I thought not. Looking at a few of the Stanford profs involved with the IPCC Report led me to a January 2011 document Called “Knowledge, Learning, and Societal Change: Finding Paths to a Sustainable Future.” This was the Science Plan [notice bolding above] “for a cross-cutting core project of the International Human Dimensions Programme on Global Environmental Change” or IHDP. Don’t get too excited but the social science schemers involved with IHDP see knowledge, learning, and societal change as being in a dialectical relationship where change to one affects and drives changes in the others. KLSC has since ensconced itself in Switzerland with its own website and probably lovely chocolates and fabulous vistas for all its employees, but in discussing it I will stick to the January 2011 declarations for education as well as a 2013 paper kindly laying out the history of IHDP. The answer is that the inner mental models and new values, attitudes, and beliefs will be carefully sculpted via “personalized learning” until students have different types of “knowledge and different core competencies.” That would be a “broad notion of knowledge that goes beyond a narrow notion of cognitive, science-based forms of knowing.” In fact, “knowledge can be conceptualized as any form of mental representation of the world,” whether true or not, as long as it either changes the student from the “inside-out” or causes him or her to take action. KLSC is quite aware that “how issues are framed and the way they are communicated appears to influence people’s receptivity to the issues and possible responses” so of course we are in the midst of Curriculum Redesign with ties to IHDP to make students receptive as desired and responsive as wished. All those references to Enduring Understandings or Understandings by Design can be evaluated through this KLSC doctrine: “Knowledge is what empowers its possessors with the capacity for intellectual or physical action.” The KLSC view of the purpose of “education and pedagogies”? The aim is “the formal or informal intervention in an individual’s development to steer learning processes towards socially acceptable behavior.” Not just an intentionally created internal noetic keel then, but consciously aimed at behavior desired to drive transformation. Oh, a firm knowledge of history gives me such a core understanding, but then I just write books and a blog instead of conducting “action research” on children and young adults for personal profit and professional advancement. KLSC admits that “by societal change, we mean large-scale behavioral change” by “individuals, groups and formal institutions.” And all the while plenty of people continue to believe this is just a good-faith discussion about the natural sciences and climate or how to best teach children for the 21st century. Well, it is the latter, but only because the nature of life in the 21st century is being radically revised with little notice. I think that all this documentation makes it very clear that “humans” became embedded in “complex systems” according to the social scientists so that human behavior could be controlled and become subject to the “sphere of conscious political calculation.” It allows a shift in the very nature and purpose of governments all over the West without, once again, getting anyone’s consent. These “contemporary efforts to devise strategies for Earth System governance” truly do aim to place the individual chains invisibly within the mind. The 2013 paper acknowledges that such “geoengineering remains a controversial stewardship ideal also in Earth System science circles.” Well, a touch of sanity at least. Since I am pretty sure I know which side of the debate will get the promotions, lucrative grants, and exotic invites, does anyone think this will remain controversial? Well, at least before we went to the trouble of documenting Adaptation meant education and personal transformation. Let’s see if we can make this as controversial as it deserves to be.